Funeral service will be held at 2:00PM on Sunday February 3, 2019 at the Winkler Mennonite Church. Viewing will be from 1PM-9PM on Friday and from 1PM-6PM on Saturday at Wiebe Funeral Home, Winkler and at the church prior to the service. Interment to follow at the Froese Family Cemetery. In lieu of flowers, donations may be made in John's memory to the Diabetes Canada. John was born on May 5th, 1941, to John and Helena Froese (nee Friesen), at home on the farm located NE of Altona. He was the middle child of four brothers and one sister. John was baptized upon the confession of his faith at the Altona Sommerfelder Church as a teenager. John married Mary Thiessen of Plum Coulee on July 23rd, 1962, at the Altona Sommerfelder Church, officiated by Diedrich Penner. Together they were blessed with four children and raised them on the family farm located at Kronsgart. John and Mary’s love of travelling led them to numerous places – Mexico, Hawaii, Canada’s east and west coasts, numerous states throughout the southern US, Jamaica, California, and the Dominican Republic. They also made good use of their RV, spending many weekends camping with friends and family throughout Manitoba, western Canada, and into the US. John was a big believer in serving his community. He was a song leader in the Plum Coulee Sommerfelder church, sang in a choir, and in various small singing groups. 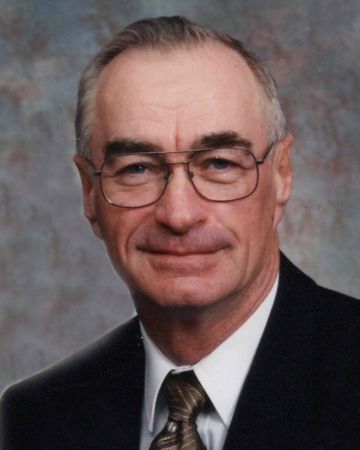 He also served on the church board and as a deacon for the Winkler Mennonite Church, was a Garden Valley school trustee, served as a Salem Director and board chair, and was a councillor in the RM of Roland. On Thursday morning, January 31st, 2019, at 6:20 a.m., at Boundary Trails Health Centre, our husband and father, John D. Froese, aged 77 years old, was called home to be with his Lord and Saviour, after being in the hospital for just over two months for his dementia-related illness. John leaves to mourn his wife of 56 years, Mary, four children, and their spouses: Garry (Barbara) Froese, Verna (Shannon) Clemis, Jennifer (Art) Schroeder, and Patty (Maurice) Neufeld. He also dearly loved spending time with his grandchildren, who will miss their grandpa greatly: Dane (Dominique) and Reid Froese, Vanessa, Samantha, and Alex Clemis, Adrienne, Erica, and Matthew Schroeder, and Ethan and Liam Neufeld. John was predeceased by his parents, John and Helena Froese, daughters, Caroline (in infancy) and Baby Froese (stillborn), and granddaughter, Sabrina Clemis (stillborn). He was also predeceased by his sister, Justina Klassen, brother, Peter Froese, and brothers-in-law, Ben Klassen and Menno Dyck. Funeral service at 2:00 p.m. on Sunday February 3, 2019 at the Winkler Mennonite Church with interment at the Froese Cemetery. Thank you to all the doctors and nurses at the Boundary Trails Health Centre for their patience and compassion with John as the disease progressed. Donations in John’s memory may be made to the Canadian Diabetes Association. Aunt Mary and family, I am so sorry for your loss and will pray for you all. Our deepest condolences to you Mary and your family. Our thoughts and prayers are with you Mary and family in this difficult time. May you feel the Lord comfort in this difficult time and in the coming years! I’m so sorry for the loss of your dad! I pray the many great memories you have of your special times together will help as you grieve your loss. Dear Mary...we were saddened to hear of John's passing. What wonderful memories we have. He loved to be mischievous! and often I had to go looking for shoes, pieces of pie or cake. You have made wonderful memories. Now he rejoices in the presence of his Lord and Savior. Absent from the body: present with the Lord. God bless you in these difficult days. With our deepest and heartfelt condolences.May cherished memories bring you moments of Comfort. We are sorry to hear of John's passing but rejoice as he is now in the presence of our dear Lord. May you feel God's presence with you at this time. To Mary & all the families, we pray for healing after the loss of a spouse, father & grandfather. The memories that we shared in the visits, camping, shared meals & fellowship. May warm memories comfort & keep you, now & always. Sincere condolences to John's family. I know he will be missed. Always enjoyed seeing him.and talking to him. He had a wonderful smile and loving personality.